"Canvas Kids" is a high energy program for children that includes positive worship, relevant lessons with the point being reinforced by drama and music, age specific centers, and so much more. The children are given snacks on Sunday morning during their classes. (Please make us aware of any food allergies at check-in) Age groups are divided into babies - crawlers, toddlers - pre-k, and kindergarten - 5th grade. A new lesson curriculum is offered every 9 - 12 weeks with changing themes to engage the imagination of each and every child. 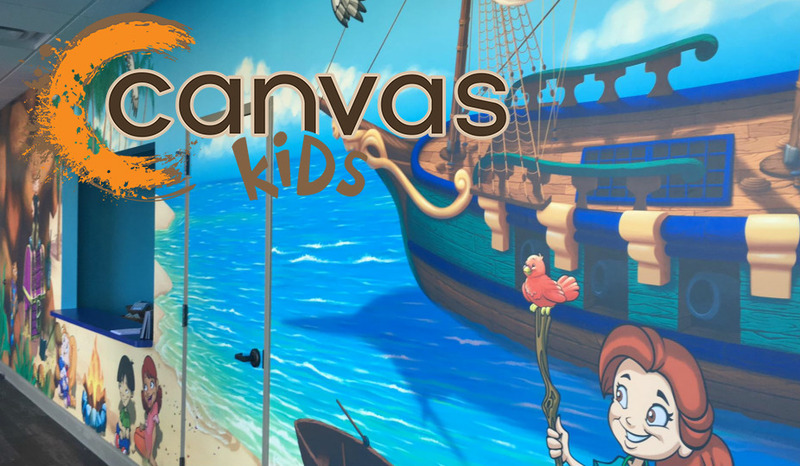 Please ask any of our Guest Services volunteers if you have any questions about Canvas Kids or need any assistance and they can direct you to a staff person or volunteer who can help.